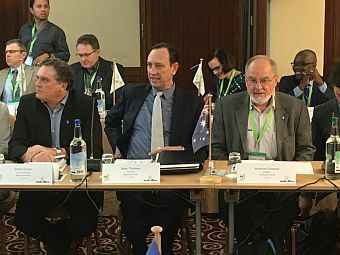 “Certification has an important role to play in forest management, the Responsible Wood ‘trust mark’ ensures that all paper and wood-based products are sourced from a responsible origin; our ‘trust mark’ is a must for all conscious purchase of timber or paper in Australia and across the world,” Mr Dorries said. This new benchmark extends the impact of PEFC certification beyond forests and enhances its contribution to the United Nations Sustainable Development Goals (SDGs). We have expanded the social requirements to include minimum wages for forest workers, equal opportunities for employment and non-discrimination, and promote gender equality. There are also enhanced provisions designed to safeguard the interests of indigenous peoples. With the inclusion of Trees outside Forests(TOF), PEFC certification will become accessible to the millions of farmers and smallholders that do not own or manage forests, but rather trees on agricultural or settlement land that are currently outside the scope of certification. The revised benchmark provides an innovative framework for internal monitoring and auditing in certified groups. This includes improved requirements for internal auditing, such as risk-based sampling groups and minimum sample size, as well as strengthening the management system of the group itself.